Students read short vowel CVC words in the context of phrases and sentences. Repeated readings can be used to build phrasing and develop intonation. 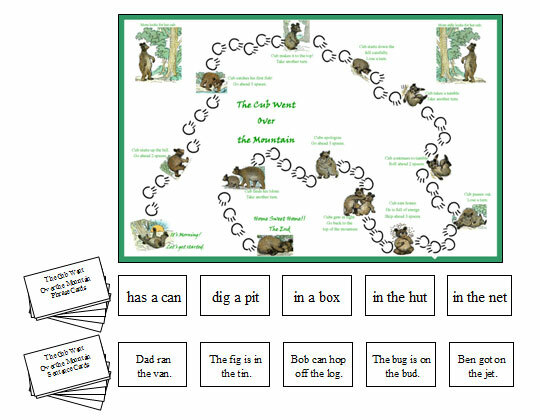 Each game includes a game board which allows students to roll a die and move along a path as they read the phrases and sentences. Words from the Match It: Vocabulary CVC activities are embedded in the phrases and sentences for additional exposure to meanings.